A single image featuring a macro composition should be submitted to this category. Images submitted to this category should be taken by a compact digital camera only! Along with the participant registration kit in Eilat, participants will receive a final explanation and update regarding the rules for the competition. These rules received at the competition are final and will cancel out any previously stated rules. Since the Amateurs category was especially created for beginners, only compact digital camera owners can participate in this category. Images taken with DSLR systems (or any camera equipped with an interchangeable lens system) cannot be submitted to this category. The same image can be submitted to any of the 3 Amateurs categories: Amateurs Portfolio, Amateurs Wide Angle and Amateurs Macro. Participants participating in the Amateurs category can also participate in any other Eilat Red Sea categories. Participants must sign the registration form and the participant registration packet along with their participant number at the Marina Divers Diving Center in Eilat, on Sunday morning, October 20th, 2013. Participants must read the Rules and Regulations page and confirm their agreement prior to signing the registration form. Images may be taken during day or night. 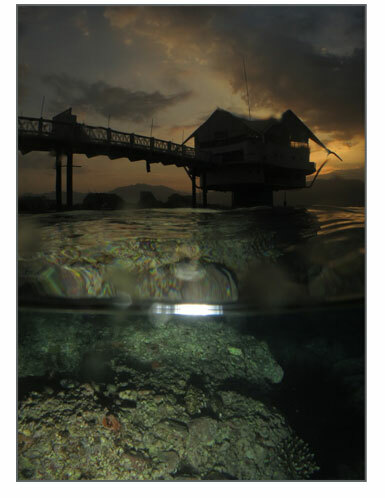 Images must be taken either underwater or half-half. Participants should back up their images every day on the production’s computers room, within a separate file labeled with the picture date. It is not permitted to erase any pictures from the memory card prior to downloading all the images to the backup computers at the diving center. It is not permitted to carry out any modifications on these photographs using any software. Any file that will be found with changes/enhancements carried out on the photograph will be disqualified from the competition. Preserving the nature should be carefully considered during the process of taking images. Anything that has to do with disturbing or moving animals from their natural environment will disqualify the images or the photographer. Registration for the competition will be carried out by properly filling in the entire official registration form, which should be also signed by the photographer. In order to submit final pictures to the judges, it is permitted to burn the photograph(s) on a CD using a private computer. Amateurs Portfolio Category and Events: FREE! By registering to the competition, the participant agrees that images taken during the competition or submitted to various categories can be reproduced and used for media coverage. This includes Israeli and International media, as well as the press, TV, internet and any other media. Competition organizers reserve the right to produce photograph albums of the competition, calendars (for resale or give away) and promotional materials as found useful by the organizers of the competition. All images will be back upped with no limit of space or time in the archives of the production. Use of images as described above will require no additional written or verbal permissions from the photographer. Each participant is responsible for his/her personal safety and the proper use of diving and photography equipment. Organizers and sponsors will not be responsible for the safety of photographers during the entire competition. Divers must follow all safety rules. Organizers and sponsors do not recommend any one dive site over the other.